Italian food is not just about spaghetti in arabiatta sauce. There is a lot more to Italian food! Like any other cuisine, its all about fresh produce and robust flavors. Most of us have this belief that a pasta dish always have to have some kind of sauce.That ain't true. 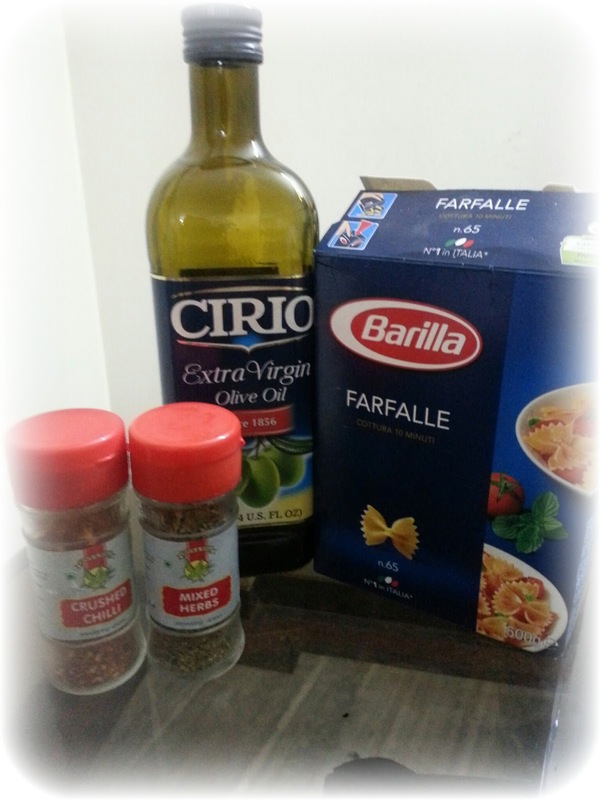 Italian sauces are simple to make but you can also make a quick pasta dish without using any sauce. Like I had shared in one of my previous post, Italian food is love. It is the most loved cuisine all over the world! Cooking and Baking defines me. My mom is a great cook too so may be its in my genes :D:D...As a matter of fact, all moms are great cook so that means all their kids a.k.a you all are good cooks too!!! Whenever I make something new, I instantly take a picture of it and share with my friends. 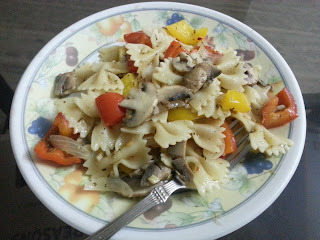 I made this pasta recently, almost effortless. I highly recommend this recipe. 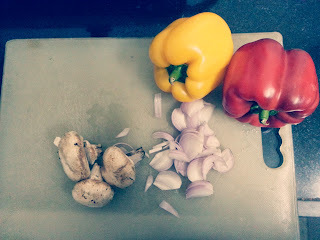 You will totally relish freshness of mushrooms and sweetness of bell peppers. 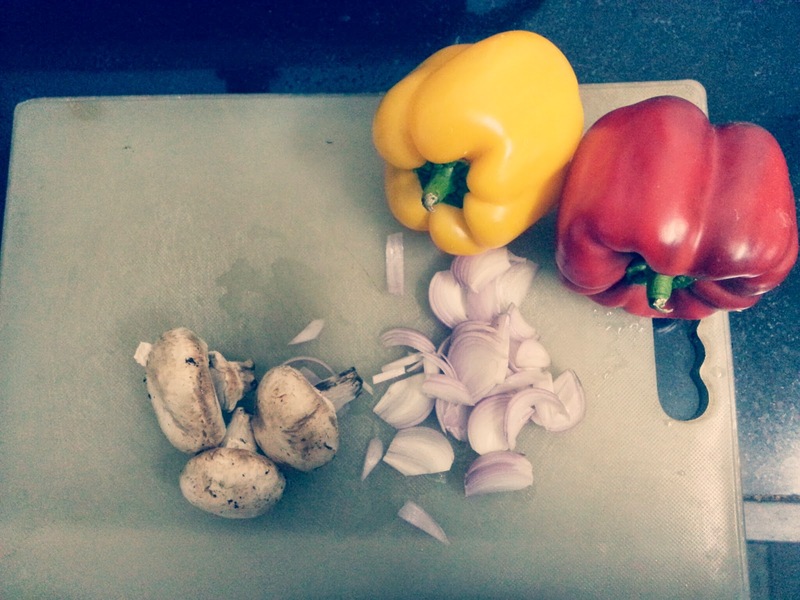 Don't refrain from having mushrooms, one of the few vegetables which directly connects you to mother nature because of it heavenly earthy flavor. Put a large pot of water on boil. Throw in a spoon of salt and add pasta to the boiling water ( There is no need to add oil to the water if you add pasta to the boiling water, it won't stick). Cook till al dente. Drain and keep aside. Serving suggestion- Top up the dish with black olives and fresh basil leaves to make it more lively and flavorful!